Having grown up dairy farming in Northland and, more recently, working for Ballance Agri-Nutrients as a technical sales representative, as well as a similar role for RD1 before that, Scott Tapp has an excellent understanding of farm systems and individual farmers' needs. Scott is always motivated about applying his passion and relevant knowledge to achieve the best outcome for his clients. Scott prides himself on honesty and reliability, as well as proven results. He and his young family are very settled in Rodney, and Scott looks forward to a long and enjoyable career in real estate with the PGG Wrightson Real Estate Northland team. Scott was awarded the Rural Rookie of the Year in NZ for 2013/2014, No 1 Rural for Total Revenue in NZ for 2014/2015 and No 2 Rural for Total Revenue in NZ for 2015/2016. 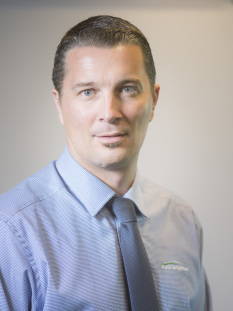 Scott is a great asset to the PGG Wrightson Real Estate Northland team and he is dedicated to helping farmers and landowners through the sale and purchase process, and assisting them with his marketing knowledge and specialist skills to achieve the best result.